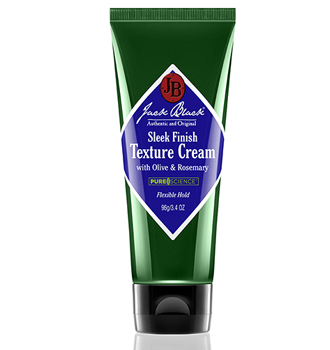 Jack Black Sleek Finish Texture Cream, 4 oz. This versatile, lightweight cream provides long-lasting, flexible control and superior anti-frizz benefits. Ultra-conditioning formula gives hair a controlled, sleek finish with no stiffness or greasiness. Ideal for dry-to-normal coarse, thick or wavy hair. Excellent after blow-drying. Fragrance-Free. Colorant-Free. Alcohol-Free.Dermatologist tested. Work a nickel size amount of product into slightly damp or dry hair. Style as usual. Jack Black All Over Wash, 3 oz. Jack Black Double-Header™ Shampoo + Conditioner - 16 oz. 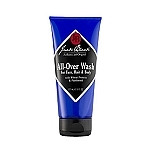 Jack Black All Over Wash, 6 oz.